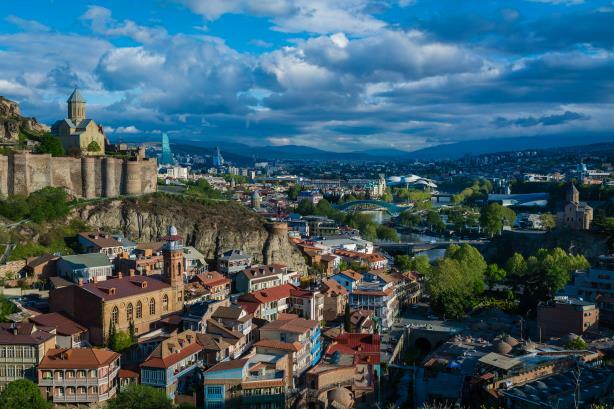 The Georgian government wants to improve its relationship with the U.S. and tell the country's story. WASHINGTON: The government of Georgia has hired two public affairs and communications firms, Chartwell Strategy Group and StrateVarious, to improve and promote its relationship with the U.S. and develop strategic narratives. The country has agreed to pay Chartwell $65,000 a month to "strengthen bilateral relations" with the U.S. by lobbying Congress and the Trump administration and to conduct PR efforts about Georgia’s relationship with the U.S, according to government documents. The year-long contract, which is set to run through 2019, has a slightly larger scope and dollar figure than a similar deal Chartwell had with Georgia in 2018, when the country agreed to pay the firm $54,000 a month. Chartwell did not immediately comment further on the filing. Georgia is one of several countries that gained its independence after the breakup of the Soviet Union in 1991. Since then, the country has had a tempestuous relationship with Russia, including a five-day war in 2008. Georgia has also agreed to pay StrateVarious $15,000 a month, according to documents filed with the Justice Department via the Foreign Agents Registration Act, to "prepare messaging for Georgia's principals." This deal with Georgia is also set to run for the full year ending December 31. Specifically, StrateVarious will prepare speeches for Georgian officials, including its U.S. ambassador, as well as talking points for Georgian principals visiting the U.S. The firm will also write articles and op-eds on behalf of officials. StrateVarious also did not immediately comment further on the filing.